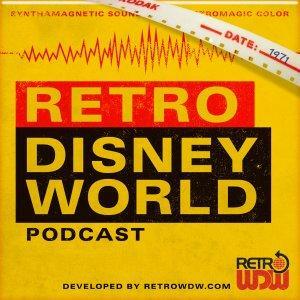 Welcome to Episode 20 of the Retro Disney World Podcast: "The Deluge" - We appreciate your support and hope you have been enjoying each and every episode. Be sure to check out some of our previous shows. that were brought to our attention. merchandise. This is based all around the "build your own flag"
for a chance to win a mint copy of 1985 Disney News, courtesy of Joel. December, just answer any audio rewind question each month for one entry. video to accompany this months podcast, take a look on the Retro Disney World YouTube Channel. of the vintage pieces that are still there.